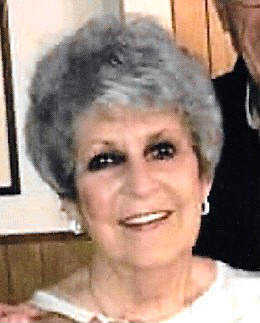 Sharon Selby McCarty, 78, of Mountain Grove, Mo., former longtime Leachville resident, passed from this life Thursday, April 4, 2019, at the Autumn Oaks Caring Center in Mountain Grove. Born in the Silverdale Community, she was the daughter of the late S.C. and Gladys Ross Rose and was raised in the Arbyrd and Leachville areas. She married the late Ronald Selby in 1956 and lived most of her life in Leachville. Sharon retired from Buffalo Island Central Schools where she had taught music for many years. Her love of music was only surpassed by her love of God and her love of family and friends. She was a member of the First United Methodist Church in Leachville and Chapter AC of the PEO Sisterhood. Sharon had been a Mountain Grove resident since 2018. In addition to her parents and first husband, she was preceded in death by six brothers, five sisters and her second husband, Tom Hitt. Survivors include her husband, Willard McCarty of the home; her son, Blythe Selby of Gold Beach, Oregon; her daughter and son-in-law, Rhonda and Mike Williams of Mountain Grove; five grandchildren, nine great-grandchildren and two great-great-grandsons. She also leaves her dear friend, Nardica Buckner of Leachville. Funeral service will be 2 p.m. Saturday, April 6, at Howard Funeral Service Chapel in Leachville with Rev. Jason Sutfin officiating. Burial will follow in Leachville Cemetery. The family will receive visitors Saturday from noon until service time at the funeral home. Pallbearers will be Allen Williams, Austin Williams, Justin Emery, Trey Selby, Toby Selby and MaGuire Williams. Honorary pallbearers will include the Son Shine Sunday School Class, Ronnie and Sandra Kennett, Joe Hultquist, Leon Swihart, Hugh Wayne and Tamara Rose, Jim Ed Robins and Chapter AC of the PEO Sisterhood.